The 2014 NBA Draft is to die for. Okay, not really. Why would you want to die before or after watching the NBA Draft? Doesn’t seem logical to me, but the crop of draft picks next year looks that good. Some teams have already lined up for pegged future all-stars such as Andrew Wiggins, Jabari Parker and Marcus Smart. All three are college basketball players who will probably declare for the 2014 NBA Draft. Other teams are one disaster–during the off-season or regular season–away from going into tank mode in hopes of acquiring as many lottery balls as possible. The 76ers could’ve settled for another season of 30 to 40 wins, but took a gamble on trading Jrue Holiday for Nerlens Noel and a 2014 top-5 protected draft pick from New Orleans. Basically, the 76ers are hoping to have two top-ten picks in a loaded 2014 draft. It’s a near-lock that their own pick will be in the top ten as they’ve chosen to bottom out in the standings. New Orleans looks like they’ll make a run at a lower seed in the Western Conference playoffs unless health takes a toll on their trio of Jrue Holiday, Eric Gordon, and Anthony Davis. What’s left for Philly? Andrew Bynum could be re-signed, but he’s a bigger risk than Noel at this point. Evan Turner’s about to have his last chance to prove he’s a piece to rebuild around. If not, he and Thaddeus Young will probably be on the trading block. The same can be said for Spencer Hawes, so they should hang his mustache in the rafters while they still can. Maybe Philadelphia’s secretly trying to rebuild around Kwame Brown? Boston’s cleaning house as they’ve already shopped Kevin Garnett, Paul Pierce, and Jason Terry for the Nets poo-poo platter led by Gerald Wallace and Kris Humphries. The prize of that trade will come at least a few years from now with the 2016 and 2018 unprotected draft picks Brooklyn sent (along with one from 2014). By 2016, Boston’s hoping Brooklyn will be in a rebuilding phase. Right now, they’re trying to put the final nail in the coffin of their 2014 season by shopping Rajon Rondo. Even if they keep Rondo, Boston should still be projected to win under 30 games. Their identity without Garnett and Pierce is gone, but Avery Bradley still remains a key rebuilding piece for the Celtics. The Suns were another team who could’ve spent a season letting Nerlens Noel rehabilitate before jumping into the NBA waters (or desert, since it’s Phoenix we’re talking about). Instead, the Suns went with Alex Len who has injury concerns of his own. Obviously, time will tell if they chose wisely in the draft but like Charlotte passing on Noel, I thought it was a head-scratcher. The Suns can also afford to wait on Len though. They’re not going anywhere anytime soon. Marcin Gortat and Jared Dudley will be trade chips throughout next season, though there’s not much else to look forward to when watching the Suns. Goran Dragic’s another rebuilding piece, but he’s going to ease the tanking process more than turn the Suns into a playoff contender in the future. Check out his per-36-minute numbers at basketball-reference. They haven’t improved or regressed. At 26, Dragic is what he is and he will probably continue to have similar numbers for the next five or so seasons unless an injury occurs or (gasp) a woman comes along. Other than those players there’s Michael Beasley, Shannon Brown, the Morris twins, Luis Scola, Kendall Marshall, and Hamed Haddadi among others on the Suns roster. Words to describe this roster: cluster****. Some team will probably take one last chance on Beasley or Brown though, and Scola can be a missing piece off the bench for a contender. If Phoenix can ship those three players for second round picks and/or raw, young players with potential, it wouldn’t be that bad of a return on previous lukewarm investments. The Bobcats lost Anthony Davis to the lottery balls in 2012, then passed on Noel less than a week ago for Cody Zeller. While Zeller will compliment Bismack Biyombo better in the post, the Bobcats probably should’ve gone with Noel when looking at their rebuilding phase. They’ve been rebuilding for what seems like the beginning of life, but why not tank again by acquiring a center who may not even play next season? Outside of Zeller, the Bobcats will get another year out of Kemba Walker, Michael Kidd-Gilchrist, and Bismack Biyombo. They also have some cap room to fill this summer. Where they use that remains to be seen, but it may decide if Charlotte stays a 15-25 win team or one over 30. Does Michael Jordan have the patience to tank for one more season? The Bucks have nearly $30 million coming off the books this summer, though reports have shown that Milwaukee will use up a good chunk of it on re-signing Brandon Jennings. Maybe that’s so they can get pieces back in a future trade involving the shoot-first point guard but, like most teams who passed on Nerlens Noel, Milwaukee isn’t going anywhere with or without Jennings. The future of the Bucks has shifted instead towards the forwards and centers of Larry Sanders, John Henson, and Ersan Ilyasova. Those aren’t exactly players who can transform a franchise, but they’re nice compliments to a team who could, ahem, snag a future star in the 2014 NBA Draft. Should the Bucks go into tank mode, Fear the Deer will be no more. It will be replaced by Tears for the Deer. With new ownership, the future for the Kings at least looks brighter than a black hole, but their roster still comes off as one from a fantasy basketball league. The Kings will have to figure out how to distribute the shots around DeMarcus Cousins, Marcus Thornton, Isaiah Thomas, John Salmons, Jason Thompson, and first-round pick Ben McLemore. You could say Ben McLemore will defer to others if he didn’t take the initiative often enough at Kansas, but then why draft him with the seventh overall pick? This roster will have several chances to change from now until February though. Teams will line up to make offers at restricted free agent Tyreke Evans this summer as well as make trade offers for the troubled DeMarcus Cousins, the latter likely continuing all the way until February. Depending on what the Kings receive in return, they could stay outside the five worst teams in the league or make a move to be included. Remember though: as dysfunctional as the Kings were last season, they finished with only the seventh overall pick. The Raptors shipped Andrea Bargnani yesterday to the New York Knicks for most notably a 2016 first round pick and two second rounders in the future. The trade’s a win for the Raptors, but we’ll see if they’re done making moves this summer and through the season. Just remember that GM Masai Ujiri has no attachment to the current roster and Rudy Gay–a polarizing talent in front offices across the league–could be trade bait in the near-future. Ujiri knows better than to be a late-lottery team like Toronto is slated to be. He’ll find a way to either hit bottom or find a diamond in the rough that gives Toronto a head start from other teams on this list. Edit: The trade involving Bargnani might be held off because Kenyon Martin does not want to be signed and traded to Toronto, via Marc Stein. Disaster: Dwight Howard signing with another team. It almost looks like they’re trying to make Dwight Howard leave and with all but Steve Nash’s contract coming off the books after next season, the Lakers could swallow the tankapalooza pill and join their rival Celtics in the chase for Andrew Wiggins. If Dwight Howard chooses to come back, the Lakers get either another first round exit in the playoffs or no playoff appearance at all, but not good enough odds to get in the top 3 of the lottery. Drat. Disaster: Signing no marquee free agents. Coming up empty-handed for a third summer in a row could mean cutting their losses, shipping Dirk (who has a no-trade clause, worth noting), and building from the bottom up. The Mavericks’ draft pick is currently owed to Oklahoma City, but it’s top-20 protected. Could Mark Cuban stomach the thought of tanking for a high 2014 draft pick and starting all over for the first time in 15 years? Trade rumors around LaMarcus Aldridge, legitimate or not, will continue to be discussed throughout the summer and could intensify if Portland gets out to a rough start in the regular season. Even if he leaves, Portland still has Damian Lilliard, C.J. McCollum, and Nicholas Batum to build around. With two of those three under rookie contracts, that’s not a bad start to rebuilding a team into a contender. Honorable mentions: Atlanta Hawks (disaster: signing no marquee free agents and losing Josh Smith for nothing), Minnesota Timberwolves (disaster: injury Gozilla bites them again next season). 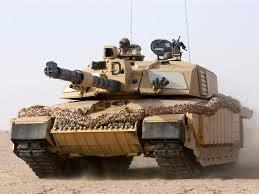 I like the Orlando Magic and Detroit Pistons to consistently stay away from tank-worthy territory. Neither might not make the playoffs though both seem near-locks to stay out of the bottom five in standings. Basically, there will be too much ground between these teams and the likes of Philadelphia and Boston, for example, to tank and get a juicy spot in the lottery. I just hope the Sixers don’t end up getting Asik or signing anyone too good. We need to lose games, not win them. No worries. You’re probably safe lol, though teams do have to spend 90 percent of the cap, per the CBA. Thanks for reading though! I appreciate it as well as the feedback.